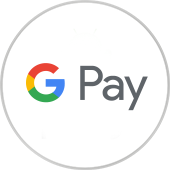 Add your eligible ANZ cards today to the Google Pay app for a fast and easy way to tap and pay using your compatible device. Calling Samsung users: now there’s an easy, fast and secure way to pay. It’s a simple and secure way to pay, that keeps you moving. Terms and conditions apply to the use of Apple Pay, Google Pay, Samsung Pay, Fitbit Pay, and Garmin Pay. All applications for credit are subject to ANZ’s credit approval criteria. Terms and conditions apply and are available on application. Fees, charges and eligibility criteria apply. Any advice does not take into account your personal needs and financial circumstances and you should consider whether it is appropriate for you. ANZ recommends you read the Terms and Conditions and the Financial Services Guide which are available on anz.com or by calling 13 13 14 before deciding whether to acquire, or continue to hold the product. Apple, the Apple logo and iPhone are trademarks of Apple Inc., registered in the U.S. and other countries. Apple Pay is a trademark of Apple Inc..